As the first anniversary of the February 14 uprising approaches, the regime and the country at large find themselves at a crossroads in which there is dangerously little space for a strong middle ground. 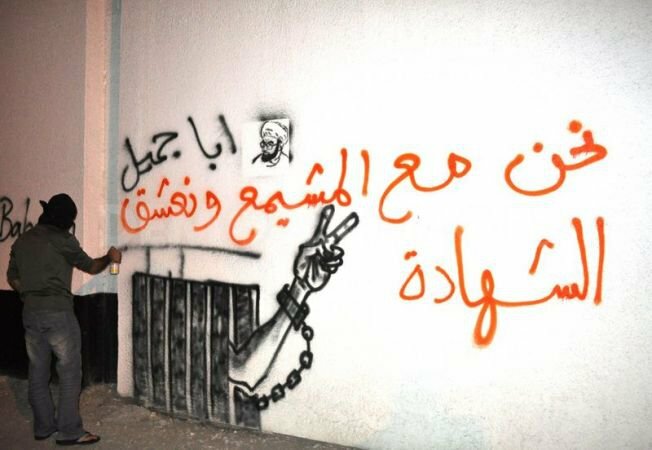 Graffiti of a hand raising the victory sign and "We stand by Mushaima and we adore Martyrdom” above in text. Image: Demotix/Manaman Al Habshi. All rights reserved.